The Black Lion Audio B12A MKII Preamp is a high-end microphone preamp, inspired by the vintage American rock sound of the original AP 312A. The B12A Preamp includes a CineMag input transformer and an Edcore output transformer in a single-channel configuration. It captures the essence of vintage preamps, with its silky yet warm sound. 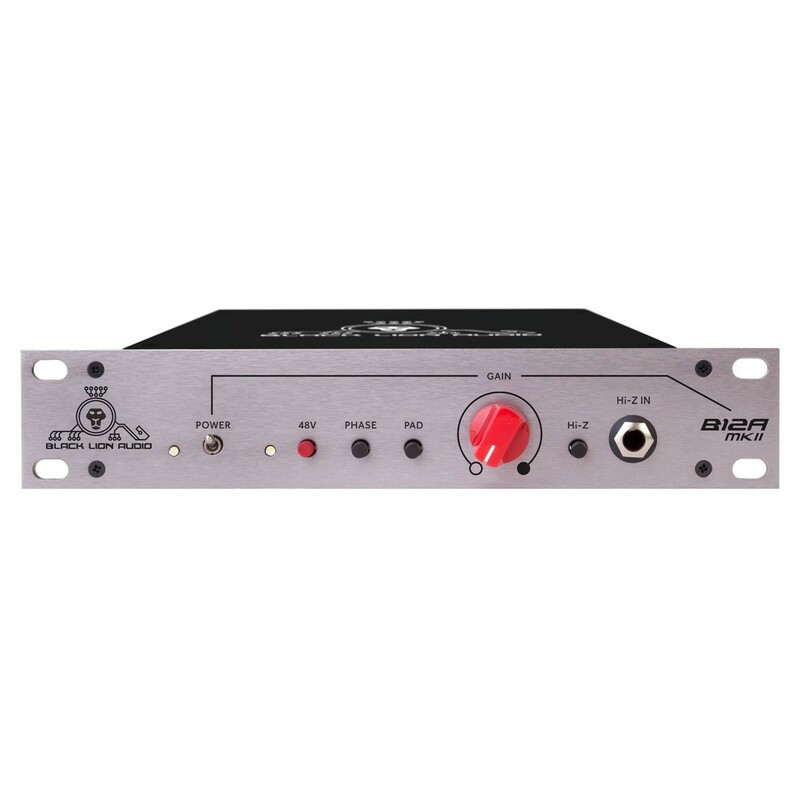 The B12A Preamp includes a built-in Hi-Z input for recording high-level instruments such as electric guitars. The robust aluminium chassis takes up only 1U 1/2 of rack-space, ideal for the space conscious engineer. With its built-in Phantom Power, 10dB Pad, Phase Switch and simple yet robust design, the Black Lion Audio B12A MKII Preamp is perfect for accentuating vocal performances for rich yet creamy tones. The Black Lion Audio B12A MKII Preamp is a premium-grade vintage-style microphone preamp, inspired by the API 312A. Aiming the capture the essence of the classic American rock sound, the B12A MKII utilises a simple yet powerful design. Inside, a Cinemag input transformer and an Edcor output transformer are at the heart of the preamp, delivering exceptional audio quality and performance. The result is rich, detailed sound that captures the warmth and depth of vintage preamps. 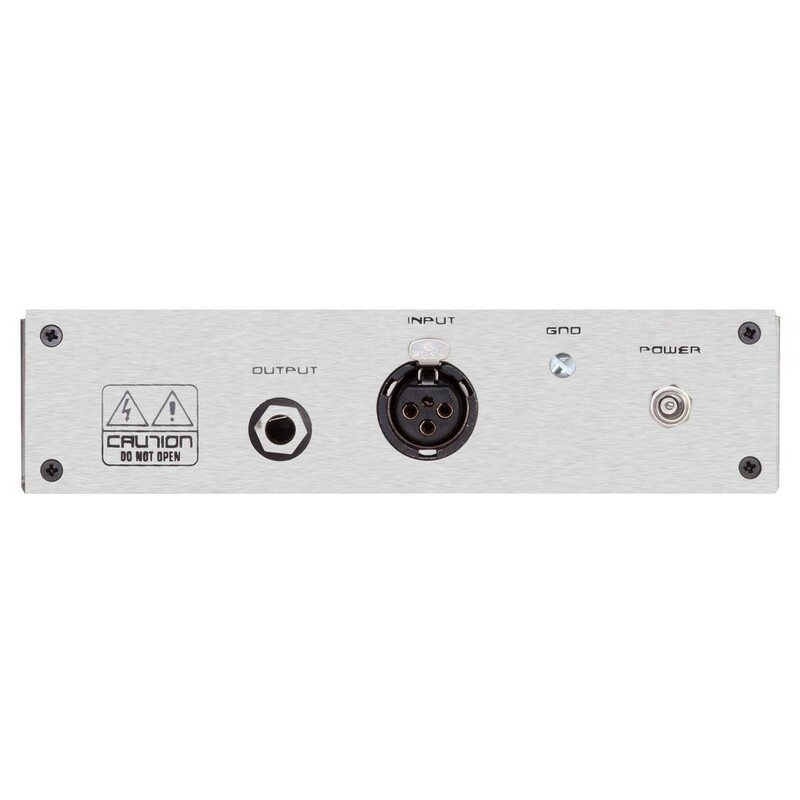 The preamp also features built-in 48V Phantom Power, for connecting condenser microphones. The simple yet effective design of the B12A MKII makes it perfect for any studio, and will fit in any 1U, 1/2 chassis. The front panel of the unit includes a 10dB Pad as well as a Phase Switch for added flexibility. Providing up to 70dB of gain, the B12A MKII Preamp can tame hotter signals with ease, creating a rich, textured sound reminiscent of classic rock recordings. The sleek, aluminium chassis features a large gain rotary control, allowing you to precisely dial in up to 70dB of gain. For more information on the Black Lion Audio B12A MKII Preamp please refer to the PDF above.